Easy desserts are hands down the best! I love being able to quickly put together a tasty dessert for my family and friends. This recipe is only six ingredients and can be ready in about 15 minutes. 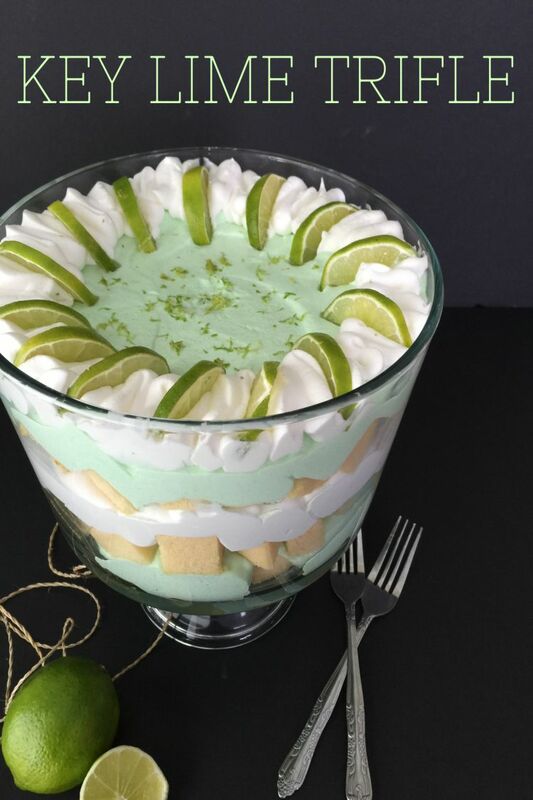 This key lime trifle is perfect for summer, but you can also enjoy it all year long. Not only does it taste amazing but it’s beautiful to look at. It’s almost one of those desserts that you just want to sit and stare at. This is one of those dishes that is super easy to make but will impress everyone! If lime isn’t your favorite flavor, you can change it up a bit. I’ve made this same trifle using strawberries, which was delicious! Don’t be afraid to get creative. Now I’m not someone that has a huge sweet tooth. I prefer savory over sweet but this dessert isn’t overly sweet. There is a good balance. The printable recipe card is at the bottom of the post! You’ll want to print this out as there are several steps. – In a large mixing bowl whisk together your milk and sour cream. – Add to that mixture your two boxes of powdered lime JELL-O and whisk to combine. 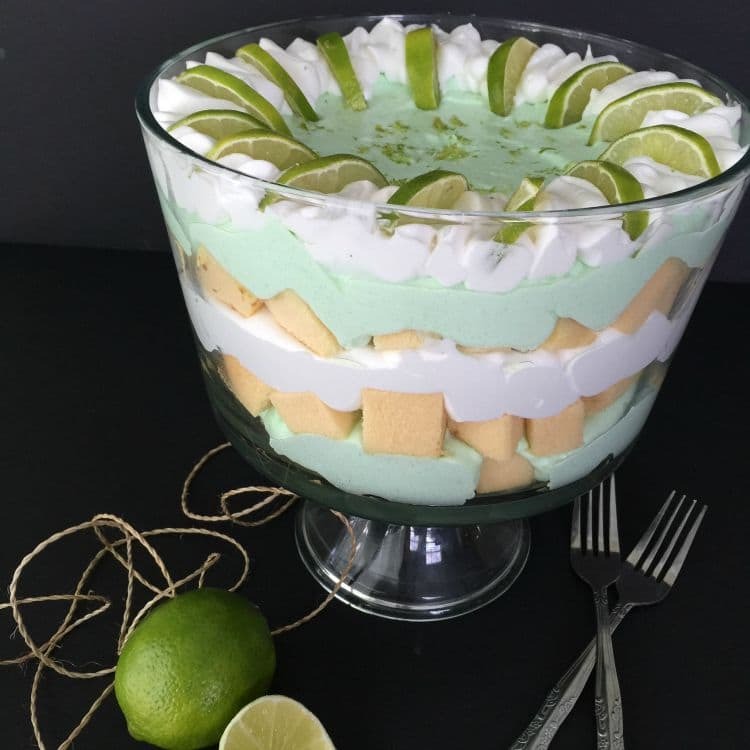 – Fold 8 oz of Cool Whip into your lime mixture reserving the other 8 oz for trifle assembly. – Put the lime mixture into the fridge to set. – Take your frozen pound cake and with a serrated knife cut off all of the dark edges. – Cut your frozen pound cake into 1-inch cubes. It’s easier to cut the pound cake when it is still frozen. – Slice two of your fresh limes for garnish. This dessert is all about presentation so you want all of the layers to be even and visible. When you are adding each layer be sure to start by placing them around the edges of your trifle bowl first and then work your way into the middle. You’ll want the outside of the bowl to look the prettiest since it’s visible through the glass. In a large mixing bowl whisk together your milk and sour cream. Add to that mixture your two boxes of powdered lime JELL-O and whisk to combine. Fold 8 oz of Cool Whip into your lime mixture reserving the other 8 oz for trifle assembly. Put the lime mixture into the fridge to set. Take your frozen pound cake and with a serrated knife cut off all of the dark edges. Cut your frozen pound cake into 1-inch cubes. It’s easier to cut the pound cake when it is still frozen. Slice two of your fresh limes for garnish. This dessert is all about presentation so you want all of the layers to be even and visible. When you are adding each layer be sure to start by placing them around the edges of your trifle bowl first and then work your way into the middle. Place 1/3 of the pound cake into the bottom of your trifle bowl. Push the pieces out to the sides. Next add 1/2 of your lime mixture. Add another 1/3 of your pound cake pieces. Top that with 4 oz of Cool Whip. Add the remaining pound cake pieces. Add the remaining half of your lime mixture. Fill a piping bag (or a ziploc bag with one end cut off) with the remaining 4 oz of Cool Whip and decorate the outside edge of the top of your trifle. Garnish with sliced fresh limes and the zest of the third lime. 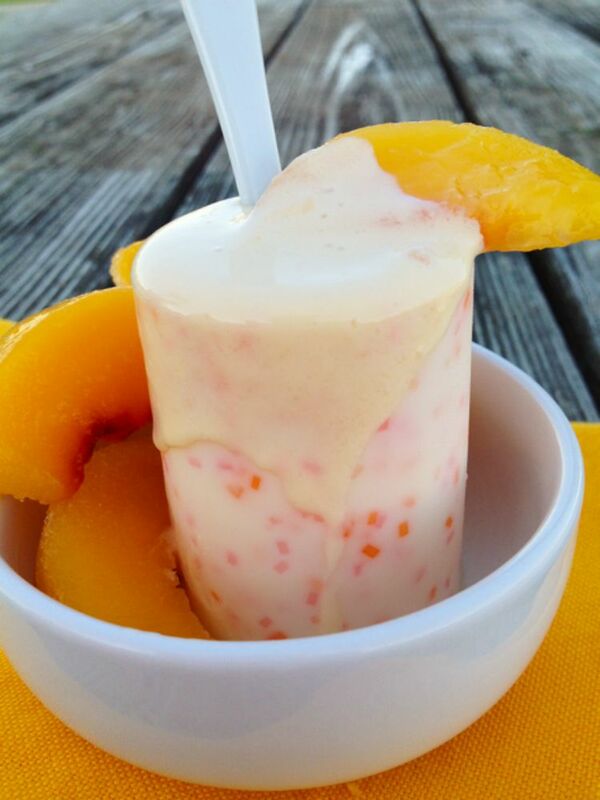 If you enjoyed this easy dessert make sure to check out some of my others. So the hubs loves key lime! I will have to make this for him for the next special occasion! Seriously this looks to die for! 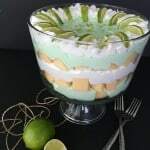 I love key lime and I love different takes on flavors and this is great! I’m going to try this soon! I’d love for you to come link up with us tonight at Throwback Thursday link party at 6pm CST! What a simple tasty recipe….trifle is a popular here in Australia, I love this variation! This looks amazing! 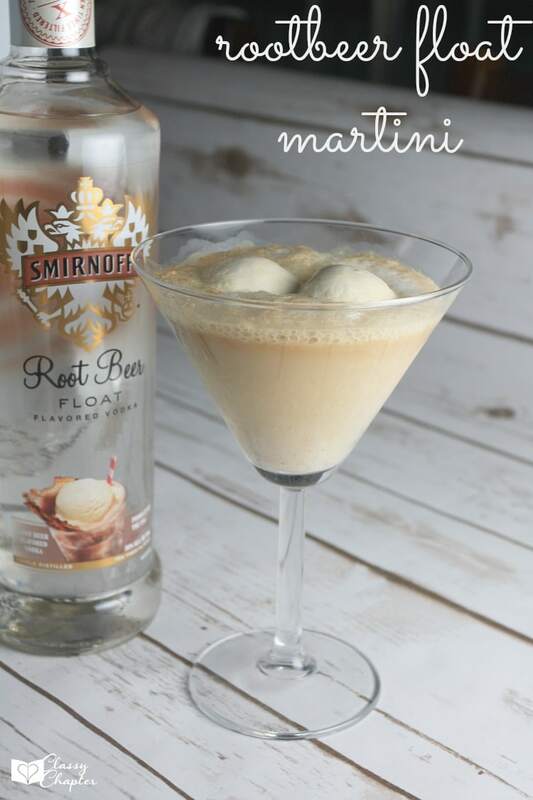 I love key lime flavors and can’t wait to try this fun version. 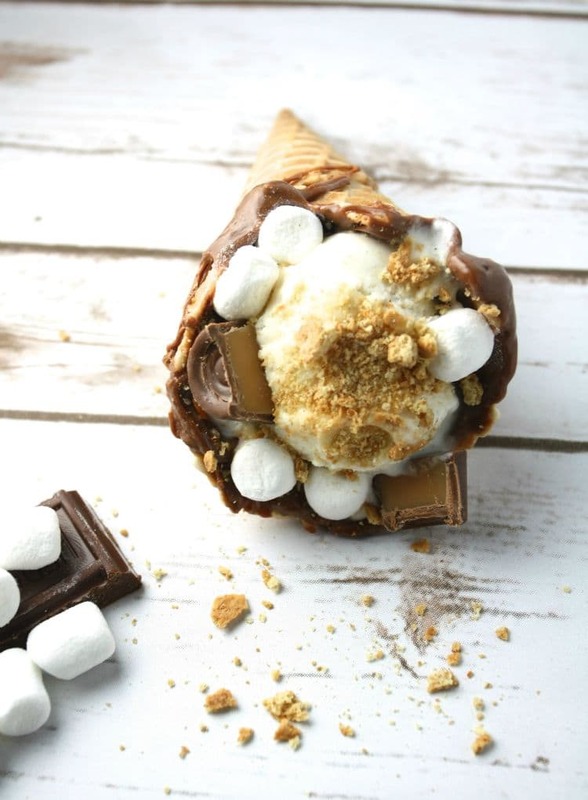 This dessert looks so good. Key limes are coming in so I will be making this.